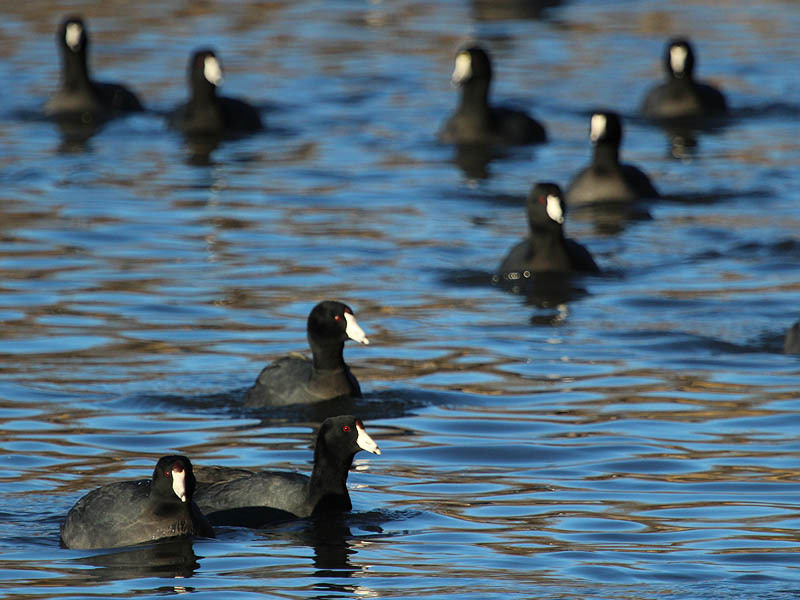 Somebody rang the dinner bell at White Rock Lake, and the American Coots came running. 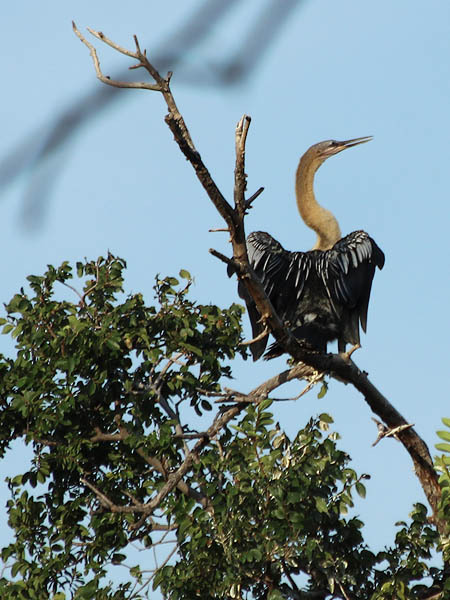 Breadcrumbs tossed into the waters of Sunset Bay attracted scores of these wild birds. 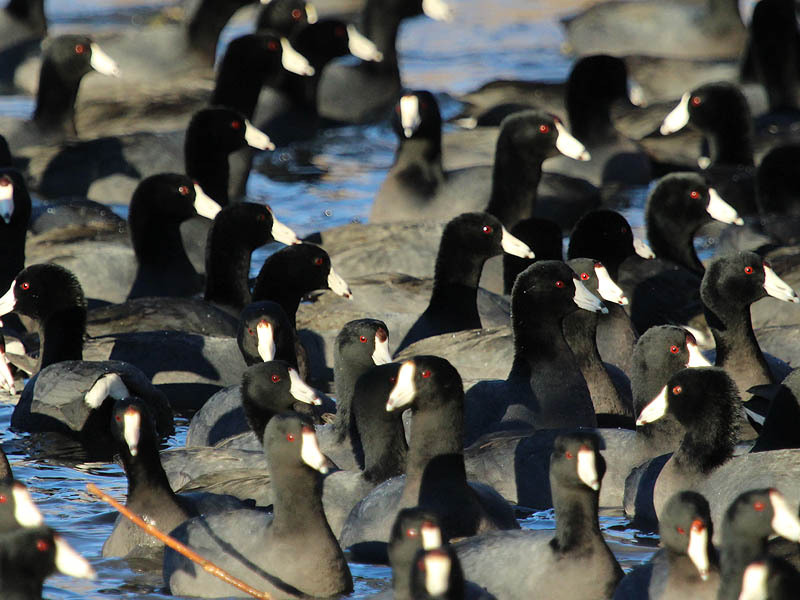 Jockeying for the best position, the American Coots in this congregation momentarily dropped their natural wariness of people in order to join in on the feast. 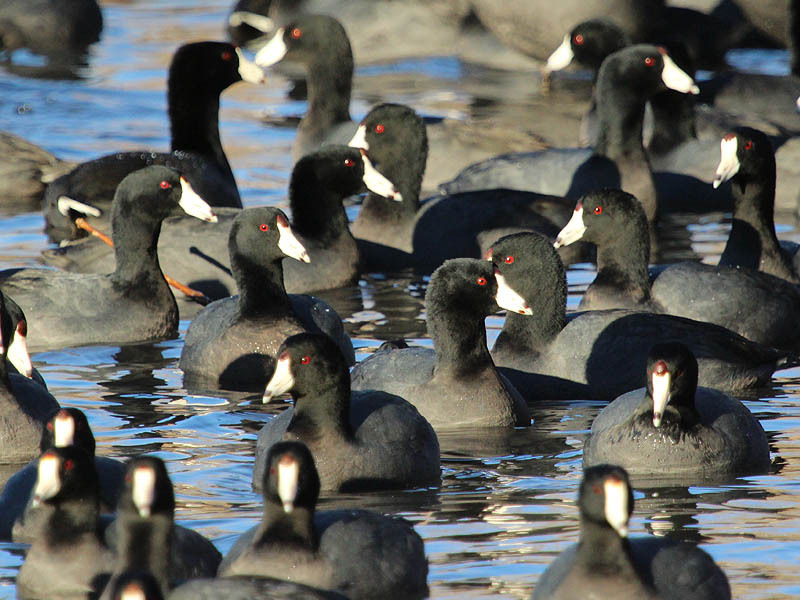 Holy cow, that’s a lot of coots. 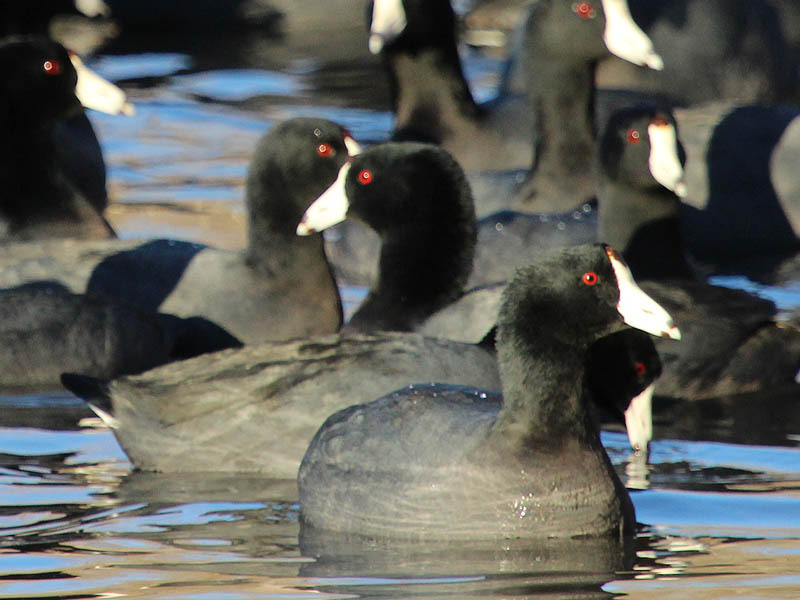 I’m fond of coots – such funny-looking balloon-bodied birds, and very amusing to watch. But I’ve never seen so many!